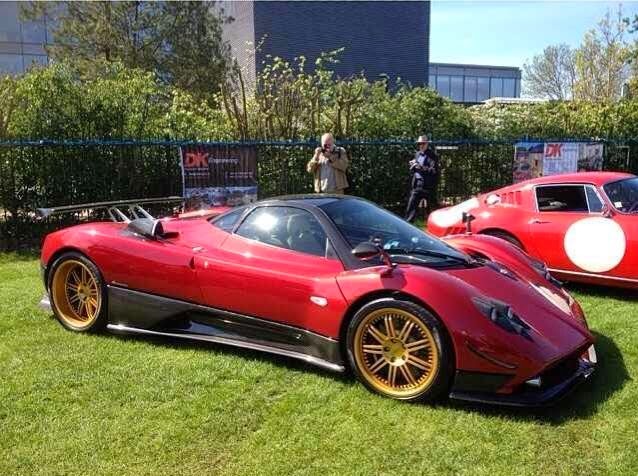 Today, two Zonda F, one Coupé and one Roadster took part at the event Auto Italia at Brooklands Museum. One of the biggest events of the year at Brooklands celebrating the UK’s obsession with all things Italian. The two car featured are the well known F Coupé #059 and the Roadster F #099. We already met the red F when it was filmed in a track last year. This car is the Zonda F 5 of 25, it was built in 2006 with bodywork painted in Dubai Red and biscuit-colored leather interior. In 2006 it was exhibited at the Geneva Motor Show together with the first F Roadster #056. In 2009 this car has received several updates, some aesthetic features from the Zonda Cinque and in 2011 the wheels were painted in matte gold. This Roadster was built in 2007, it carries progressive number 12 of 25 and it is characterized by the entire bodywork painted in Metallic Silver Light. Also the interior is fully painted as the body, so all the details that are usually made ​​of carbon fiber here are silver. Even the hood is colored silver. The only parts in fully visible carbon fibre are the front lights. 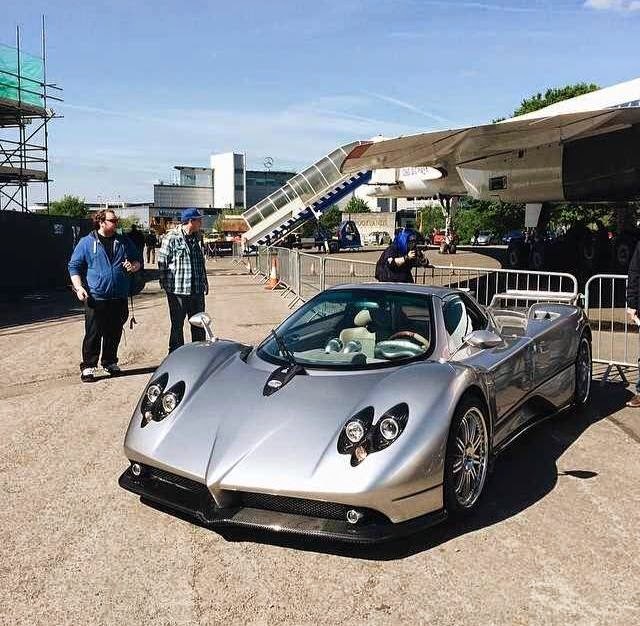 Moreover, this is the only Roadster F produced with the double wing typical of the Zonda S. In February of 2013 was put up for sale by Bob Frostner at his showroom in London.